Sandals Resorts has launched a new series of Sandals Educational Experience (S.E.E) FAM trips, inviting agents to not only learn through interactive resort updates and presentations, but also to personally experience everything that Sandals & Beaches has to offer. A total of 17 S.E.E. 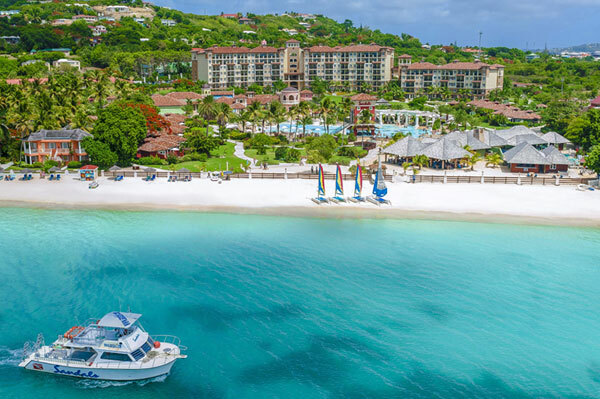 FAM trips are available July through October, with three to four nights at various properties including Sandals Grande Antigua, Sandals Grenada, Sandals Barbados, Sandals Montego Bay and Beaches Turks & Caicos. Each itinerary includes a mix of scheduled activities and free time for agents to enjoy the resorts. July: July 7-10, Sandals Grande Antigua; July 22-25, Sandals Grenada; July 29-Aug. 1, Sandals Grenada. August: Aug. 11-14, Sandals Grande Antigua; Aug. 27-30, Sandals Grande St. Lucian; Aug. 28 – Sept. 1, Sandals South Coast and Sandals Montego Bay; Aug. 29 – Sept. 1, Sandals Grande Antigua. September: Sept. 8-12, Beaches Ocho Rios and Sandals Montego Bay; Sept. 10-13, Beaches Turks & Caicos; Sept. 15-19, Sandals South Coast and Sandals Negril; Sept. 17-20, Sandals Regency La Toc; Sept. 27-30, Sandals Barbados; Sept. 30 – Oct. 4, Sandals Montego Bay and Sandals South Coast. October: Oct. 1-4, Beaches Turks & Caicos; Oct. 5-8, Sandals Barbados; Oct. 27-30, Sandals Regency La Toc; Oct. 29 – Nov. 1, Beaches Turks & Caicos. Space is limited and agents are encouraged to register early. Registration takes place exclusively on Sandals’ travel agent portal https://taportal.sandals.com under the “Events” section. Air is not included and agents should wait to receive confirmation before securing their flights. For more information, agents can contact their local Business Development Manager or call Inside Sales at 1-800-545-8283.